For over 30 years, S Murray & Co has exhibited at the Achema Trade Show, Frankfurt, focussing predominantly on the laboratory range of products manufactured and supplied by the company. They were delighted once again to have been visited by so many customers old and new when they once again participated at the show in June 2012. For S Murray & Co, Achema represents an opportunity not only to reinforce existing partnerships but also to start new relationships for the future. As a company, S Murray & Co is fortunate to be well represented in many countries around the world, and very much appreciates the efforts made by so many of those partners to visit them at the exhibition this year. 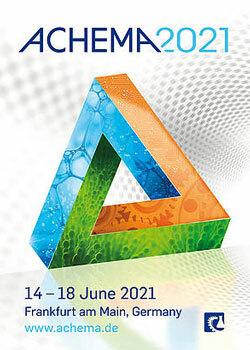 According to official figures, the exhibition was once again well supported this year (see Achema web-site: http://achema-content.dechema.de). Dr. Michael Thiemann, CEO of ThyssenKrupp Uhde GmbH and President of the ACHEMA Committee, affirmed at the interim press conference on Wednesday 27th June: “The ACHEMA’s influence is undiminished,” * and S Murray would certainly reinforce that statement. Apart from the benefit to the relationships afforded by the event, Achema also provides a valuable opportunity to introduce the new product ranges being developed by the company. Notable new products show-cased this year include a range of hypodermic needles to compliment the SAMCO syringes, headspace/autosampler vials and in particular a range of PET bottles, which attracted considerable interest. Details of these products will become available on the New products section of the site as they continue to develop. S Murray look forward to welcoming visitors to their stand at the next Achema in 2015, which will also mark the 100th Anniversary of the company.